MarWest Commercial Who are we? MarWest Commercial is the industry leading commercial association management firm, specializing in the formation, management and repair of Commercial Property Owners’ Associations (“CPOAs”). 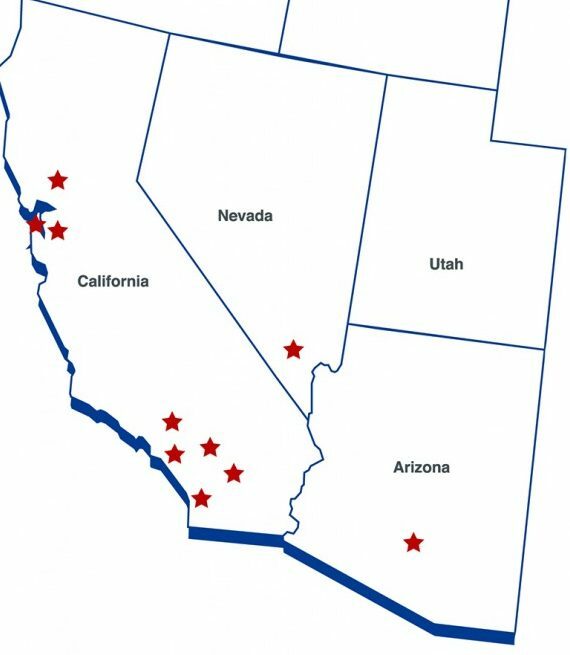 With over 200+ commercial condominium, master, and planned unit development (“PUD”) business parks under management throughout California, Arizona, and Nevada, MarWest provides value add resources for all property types and sizes. Our mission is simple; enhance property values by providing specialized management solutions built upon our core values. We employ active management practices offering clients consultative association management services customized to each business park. Bottom line: We focus on the association so you can focus on what matters most to you – running your business. What does this transition mean for me? To put it simply; your life is about to get a lot easier. The main objective of this merger is to increase the service offering for all clients, as well as ensure a smooth and seamless transition. We are working closely with all members of the Trestle team during this transition, and are collectively confident in the value that will be added to each Association. Your manager will be in contact with you regarding specific association-specific details about the transition, but in the interim please reach out with any questions! We can’t wait to get to work for each of you! Will our management fees increase? No, the terms of your contract with Trestle will not be affected by this partnership. In fact, our goal is to bring more effective tools to you that may reduce costs and increase productivity. Now that Trestle is part of a bigger organization, will my Association get lost in the shuffle? Absolutely not. MarWest was founded on six core values (Responsive, Knowledgeable, Proactive, Diligent, Effecient, Secure) which guide our company and service offerings. Now that you are part of the MarWest family, you will have MarWest’s industry-leading services and resources at your disposal providing additional benefits for your association. Your management team will now be able to leverage MarWest Commercial’s value-add services and resources to benefit your association. These value add services include industry leading technical knowledge, exclusive banking and insurance programs that reduce costs, clear and concise financial reporting, as well as systematic project management. Team members can also share knowledge, tools and best practices across the MarWest organization, and continue to advance their knowledge, bringing value to your association. What happened to the old phone numbers and emails? The phone numbers and email addresses for former Trestle employees still work, and will forward for a full year. While this will serve as a catch all, it is encouraged you save the below new contact information for future use. How do I pay my Association Dues now? MarWest Commercial utilizes an online payment system called PayLease for those clients who wish to pay online with a credit card. Below are links to both the PayLease site, as well as instructions to sign up. As always, please do not hesitate to reach out to your property manager with any questions! I still have more questions ... who do I contact?